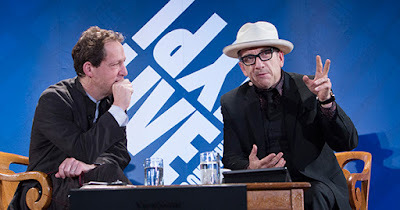 Elvis Costello's voice is unmistakably his own, and for nearly four decades his music has earned him fans around the world. The singer-songwriter is also now the author of a memoir, Unfaithful Music & Disappearing Ink. This week for the New York Public Library Podcast, we're proud to present Elvis Costello discussing the long memory of the internet, influential records, and imitation. publicadas por Carmelo Ruiz a la/s 11:57 p.m.